In addition to the thousands of people being evacuated from rising Texas flood waters, many animals are in need of rescuing. During Katrina, an estimated 250,000 dogs and cats were displaced or died, according to the ASPCA. 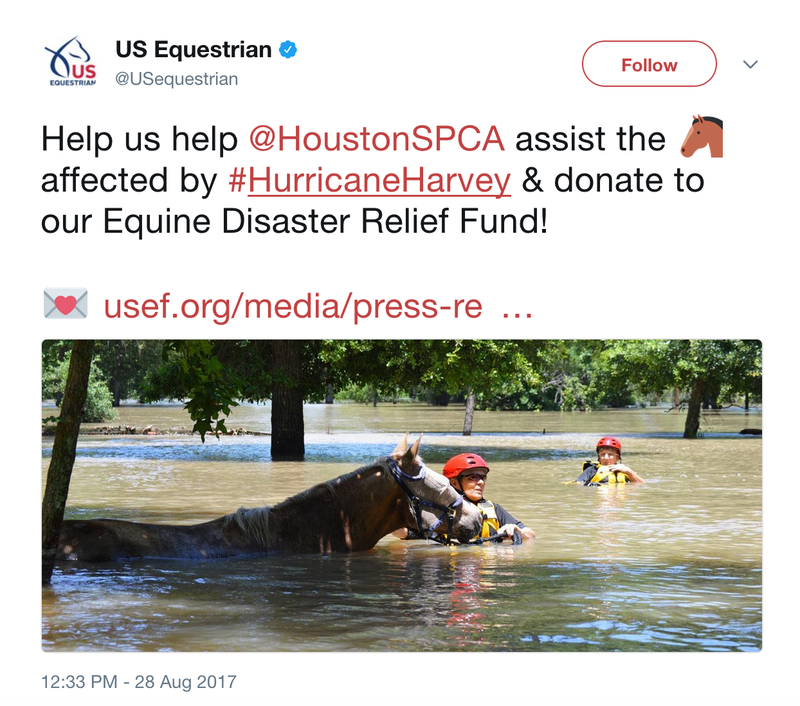 The USEF Equine Disaster Relief Fund and Houston SPCA are collecting money to help abandoned horses. Large animals, like horses and cattle, also need to be evacuated, if possible. When they can’t be moved, owners should turn them loose in pastures or pens on higher ground, preferably with solid shelter or trees. They should never be left locked in stalls or barns. In fact, just opening the doors often isn’t enough because they will return to a place they associate with safety. Such brave people. Floods are terrible. Thanks for the video! Harvey Horses they’re called. Help save the horses (and animals and people) suffering from the hurricane and flood. I’m uplifted by the outpouring of help in the wake of this disaster.